Crypto Method Review, Cloned Fake Crypto Method SCAM! 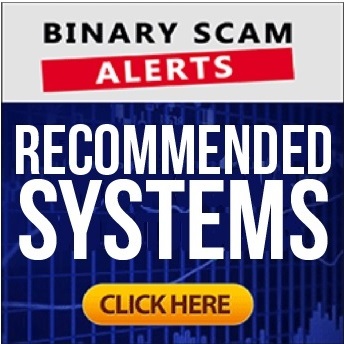 Binary Scam Alerts » Cryptocurrency Scam Reviews » Crypto Method Review, Cloned Fake Crypto Method SCAM! If you are searching the internet for a detailed Crypto Method Review and SCAM investigation then you have reached the right website. Mike Lewis the fake actor and liar would have you believe that he has access to a secret crypto app, software, and automated trading robot which makes millions. In reality, the Crypto Method auto trader is a cloned replica of the Bitcoin Code software which is the biggest trending viral scam being peddled online by unethical affiliate marketers today. Its also worth pointing out that there is a piggyback scam in the form of fake news or “advertorial” which is also being promoted very aggressively. The title of this scam starts off as “Stay-at-Home Mom Saves Her Husband from Bankruptcy! His reaction was priceless…”. Both scams are connected to the same affiliate network, only each one is promoted in a different way. The first is via paid search engine ads and fake review sites, and the other via media networks which use popup ads in order to get your attraction and bait you. Either way, you are being mislead, deceived, and manipulated into opening real money trading accounts with unregulated offshore brokers looking to exploit your lack of knowledge and understanding in market trends and cryptocurrency trading. We understand that the Crypto Method SCAM is very believable and has an uncanny ability to entice even the most savvy and suspicious customers and opportunity-seekers. However, as we shall clearly demonstrate in our detailed Crypto Method review, it is anything but legit or genuine. In fact, it was designed with pure malice and the intent of defrauding would-be crypto traders and potential investors. Keep reading our informative Crypto Method review and investigative report to see how we shed light on this new get-rich-quick crypto scam and exposed the people behind it. Below you will see the primary sales page for the Crypto Method scam and one of a few fake testimonials which are provided by cheap Fiverr.Com actors. We have added a link to one of the actors profiles so you can view the actor’s profile at your convenience and see for yourself. Moving along, here is a screenshot of the fake news page which is being promoted these days. You can clearly see that the images are taken from the internet and used out of context in order to promote fraudulent software. After completing a short form on the page below you will be redirected to the Bitcoin Code or Crypto Method scams based on how each system is performing on that day. When I say performing, I mean getting people to invest and not generating profits for them. In fact, the software is rigged so if you win the brokers lose money and that is why you need to avoid it. Above you can see a picture of the actual crypto method software and user interface (UX). A closer look will reveal that it is a complete clone and replica of the Bitcoin Code software by Steve McKay, and it is commonly referred to as a white-label or turnkey solution for affiliate marketers wanting to promote fraudulent apps in return for fat commission checks. In the past 90 days 3 people saw their lives change dramatically after investing in cryptocurrencies. That is the opening monologue as presented by Mike Lewis the narrator of the Crypto Method sales presentation. The sales pitch commences by saying that Beta testers and early adapters who signed up for this program had $13,837.45 cleared and deposited directly into their bank account in a matter of 24 hours. Then we have a barrage of fake testimonials, and they are all praising the software and telling everyone how much money they have made. Lewis equates the crypto method to Uber, Amazon, and Airbnb and claims that crypto is the new way to become millionaires and the lucky few who will ignore the controversies will be the next crypto-millionaires. How Does The Crypto Method Work? “Mike” uses margin trading to buy futures contracts. This means he doesn’t actually buy crypto, he’s utilizing a software that speculates whether the price will go up or down and in this way he collects the profits. In reality, the system doesn’t work and the software is set on random at best and most likely designed to lose your money. A software developer, turned investor, turned millionaire maker. Sound familiar? That’s because its rehashed from the Bitcoin Code and Bitcoin Loophole. Lewis was never on the Wall Street Journal, Forbes, or CNN, and he is not the 100 Million dollar man. He is a fictitious entity designed by online promoters who believe using a fake persona is an effective sales tactic. Is Crypto Method Scam or Not? It is a 100% confirmed crypto scam and fake trading robot. Absolutely not! It will cost you at least $250, and that money will be charged to your credit card by filthy brokers who are conspiring against you in an attempt to steal your hard-earned money. The one to watch out for this day is Bitcoin Trader. We have seen a few fake Crypto Method reviews, and we are sure that these bloggers are getting paid bribes in the form of affiliate commission checks in order to publish favorable reviews. We have a zero tolerance policy towards this type of behavior. The crypto scene is bursting with new systems being launched on a daily basis. In most cases victims who decide to invest will end up losing their money and at times more than they can afford. However, once in a blue moon a genuine system emerges and that is when we start testing it. If it performs consistently we add it to our recommended section. The Crypto Method SCAM app and auto trader by Mike Lewis is a blacklisted get-rich-quick scheme. If you have received any form of SPAM email inviting you to join this thieving new software, then you should know you are being targeted by crafty con artists and never click on any links. If you have invested in this SHAM then you need to watch your credit card statement like a hawk, as overcharging is a well-known modus operandi for greedy scammers who want to wipe out your bank account. It has also come to our attention that various concerns in regards to identity theft and credit card fraud have reached our complaints desk, and that is a definite cause for alarm. So to recap, the Crypto Method SCAM is blacklisted and all the proof and evidence has been produced as expected. In light of these developments we are advising our members and viewers to seek alternative and more legitimate investment channels. Don’t forget to join our Facebook Group and YouTube Channel and get informed.